Deashimikia Williams, a member of OPEIU Local 2, is a customer service representative in Maryland. At 8 a.m. every workday, an alarm sounds at the Member Services Call Center in Denver. Instantly, Olivia Johnson and her entire unit-based team of customer service representatives to leap out of their seats. The dance break tradition started when one of Johnson’s co-workers set a regular medication alarm that plays music. Shaking their groove thing, having regular potlucks and sharing information that might make work easier for others are ways Johnson’s team combats potential stress at work. Constant stress can result in faster breathing and an increased heart rate, which the American Heart Association says can lead to physical pain, depression and unhealthy behaviors to compensate. The members of Johnson’s UBT also alternate work assignments, so that representatives aren’t doing the same thing every week. One week, half of the team fields the calls from Kaiser Permanente members, while the other half answers questions from all of Colorado’s customer service representatives via SameTime chat. The next week, they switch. The variety helps keep the demands of the job manageable. 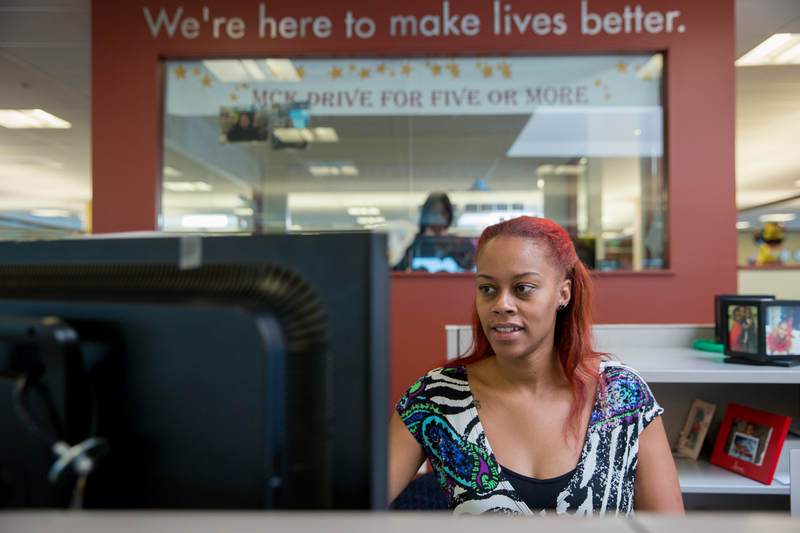 Terrence J. Cooper, who manages the Maple Lawn Call Center in Fulton, Maryland, says one reason working in a call center can be stressful is, simply, the nature of the work. Cooper, who manages 20 people, tries to keep his team upbeat by injecting humor into his UBT’s daily huddles and team meetings. The team also host potlucks and does team-building activities outside of work, such as bowling. There’s a serious side to adding fun and festivities to the job: A study in the 2006 Ivey Business Journal Online found that workers who feel empowered and engaged—one of the outcomes of the light-hearted endeavors—are more productive and have fewer safety incidents. Another key element to reducing stress is giving people the ability to make more decisions at work, says Deashimikia Williams, a customer service representative in Maryland and member of OPEIU Local 2. Williams also serves as her UBT’s union co-lead and is a member of the national call center “Super UBT,” whose membership crosses regional boundaries. Williams says empowering workers and improving their work processes can have a positive impact on stress at work. Making customer service representatives, CSRs, aware of what they can do to resolve a member’s issue also reduces frustration, says Williams, whose role on the Super UBT includes exploring different improvements. We take complaints here. Complaints alone can be stressful.